After 10 years in NY, we’re bringing my Sephardic Music Festival to L.A. to stay! NY dates will be announced soon as well. SMF LA 2015 will take place September 29th – October 4th (Sukkot). 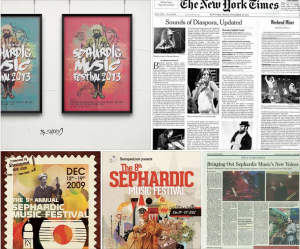 In the meantime, we thought you would enjoy some press clippings and posters from our Sephardic Music Festival in the Wall Street Journal, NY Times, LA Weekly, Time Out and more.